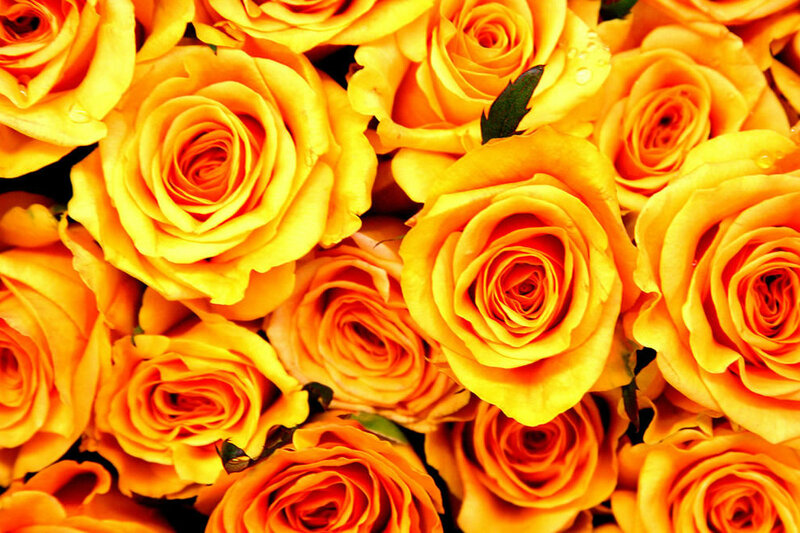 Yellow roses send the perfect message of platonic love and appreciation. They convey the feelings of delight and joy, and are an ideal way to brighten someone's day. There is probably no other flower that is able to bring out a smile in quite the way that a yellow rose can. In contrast to the romantic meanings attributed to other roses, the yellow rose is purely a symbol for friendship. No wonder, most of the flower shops are replete with yellow roses as Friendship Day nears. The yellow roses were first discovered in the wild parts of the Middle East during the 18th century. Roses were mostly cultivated in shades of red, pink, and white before the discovery of the yellow roses. As soon as the yellow rose came into the picture, its popularity began to soar. Another unique element of the history of the yellow rose is that earlier, it was devoid of the sweet fragrance that people associate with the rose. But as breeding and cultivation methods changed, rose hybridisers were able to infuse the pleasing aroma into the yellow rose. Yellow roses: Which occasions do they suit? Giving a yellow rose to that special someone represents your feeling of friendliness. The yellow rose, as opposed to the romantic meanings associated with the red and pink roses is symbolic of friendship. It is often seen that yellow roses are given to clear misunderstandings between people and help renew their friendship. A bouquet of bright yellow roses conveys the feelings of sunny, cheerful emotions like happiness and warmth. These magnificent blooms make the perfect gift for someone who is feeling low or is on the sick bed. No flower can perhaps beat the yellow rose when it comes to brightening up someone's day. This may be the reason why yellow roses are considered as an ideal present when given to someone suffering from depression. It is a true act of kindness that is respectable and genuine. Yellow roses may also be given on occasions like homecomings, graduation parties, and birthdays, as they also stand for new beginnings. They represent strength of mind and motivation to start a new endeavour. 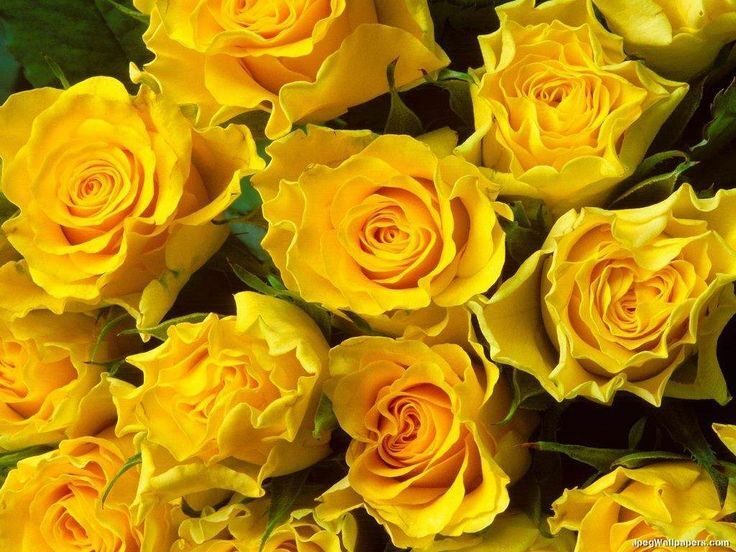 If you wish to cheer up someone or wish your friend a “good day”, a Dozen Yellow Roses is what you may opt for. 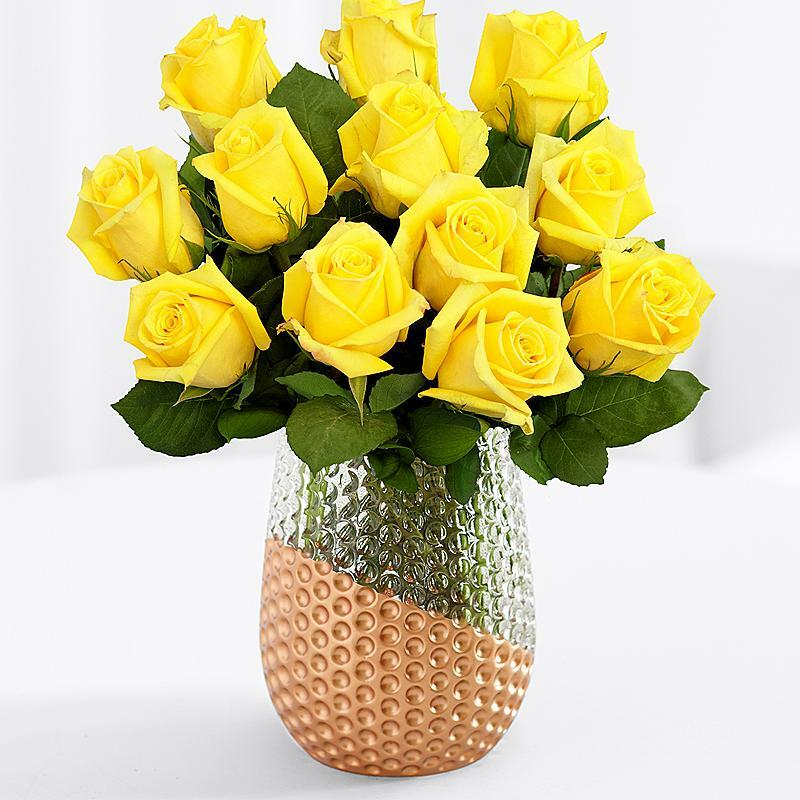 A bouquet of dozen long-stemmed yellow roses is an apt choice for anniversaries, birthdays, or simply to make any day a special day. What's more, the bouquet comes gift wrapped with a free message card to include your own special words. You may also add balloons, bears and chocolates to this unique gift item to make it even more impressive.